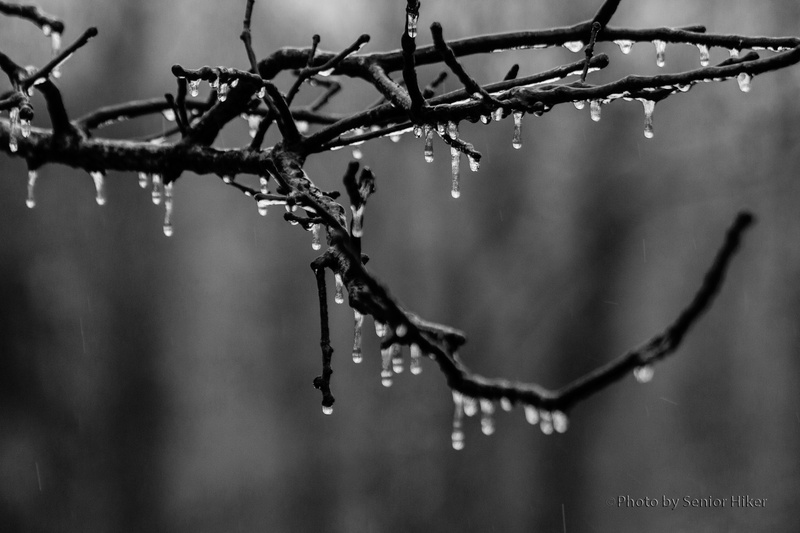 We had some light freezing rain overnight earlier this month. The next morning was cloudy, but the tree branches looked as if they were covered with jewelry. 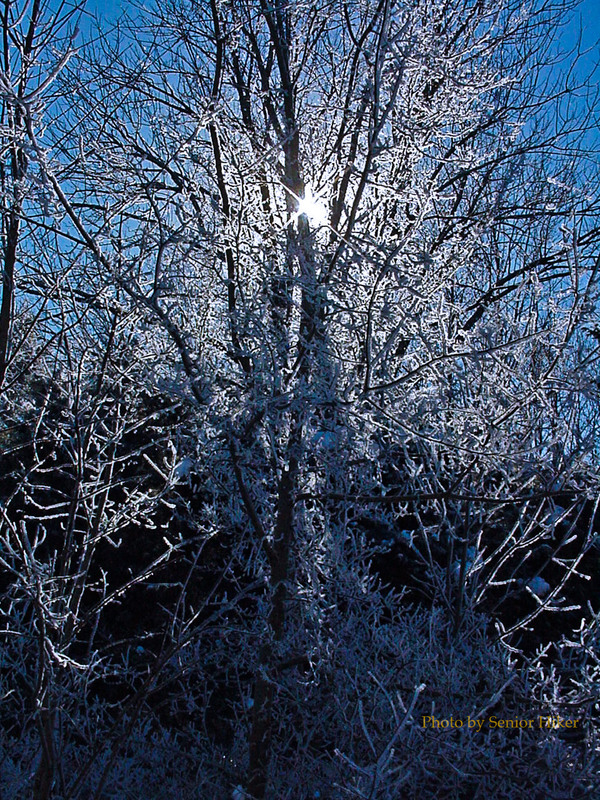 I couldn’t resist getting this picture of tree branches in our back yard. To be perfectly honest, our winter hasn’t been all that severe so far this year. And yet the predominant color in our yard is brown. 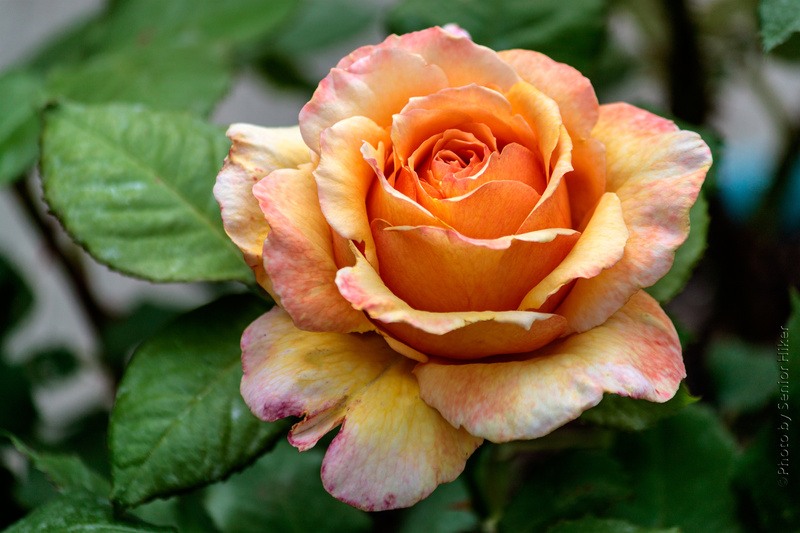 While I have nothing against brown, I do look forward to seeing some color like that in our Tahitian Sunset rose. For now I’ll have to be content with enjoying this rose on my monitor. 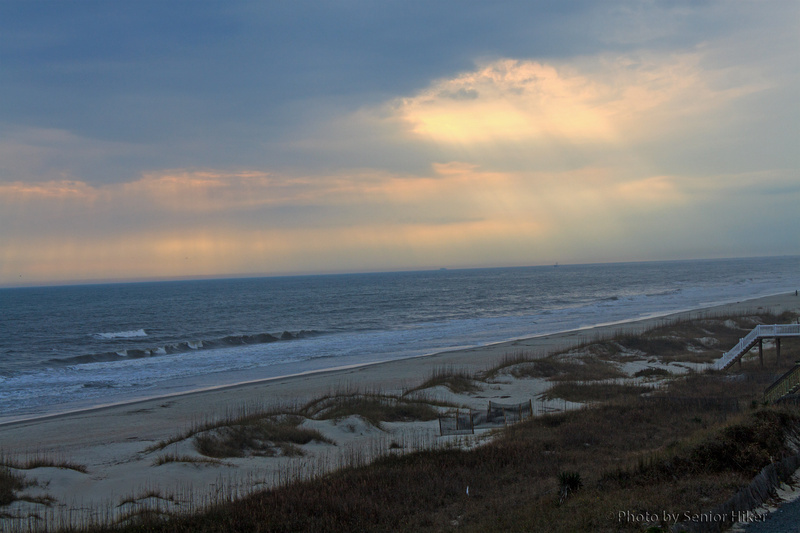 Although Betsy and I had a wonderful time at Ocean Isle Beach, North Carolina, last month, I must admit that the weather left something to be desired. 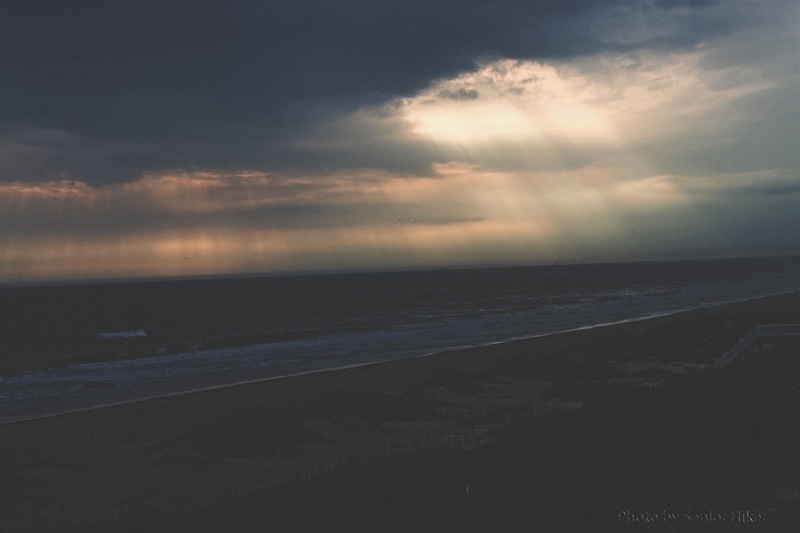 It was cloudy and dreary when we arrived, but we still enjoyed the sight and sound of the ocean below our room. 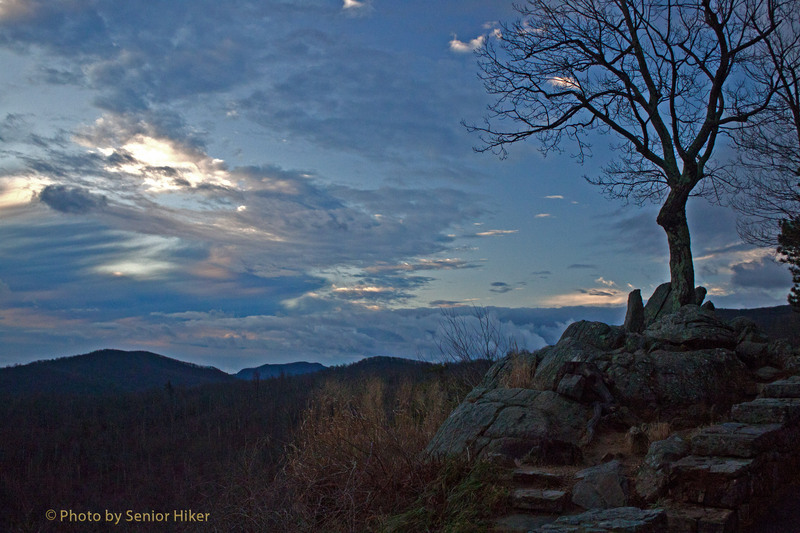 In the late afternoon of that first day I captured the sun trying to break through the clouds. When I got this photo on my computer, I played around with it to emphasize the sunbeams coming down. The picture above is different, but I rather like it. The original photo is shown below. 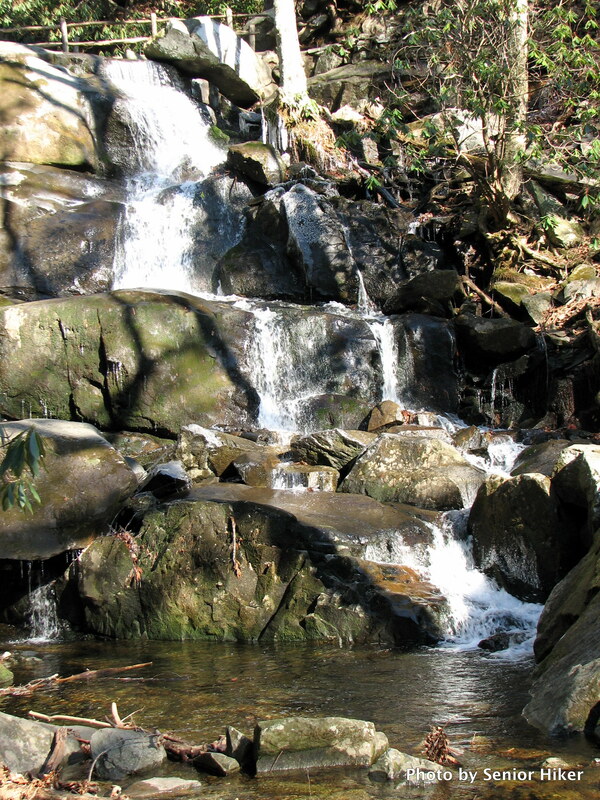 Laurel Falls is one of the most-visited waterfalls in the Smokies. 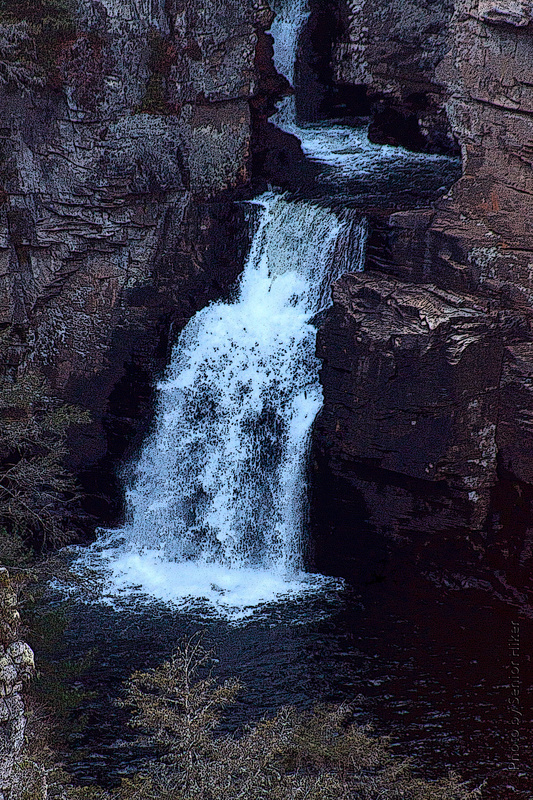 Most visitors see the upper falls from the bridge over the stream. But a short scramble down the embankment below the bridge gives an equally nice view of Lower Laurel Falls. 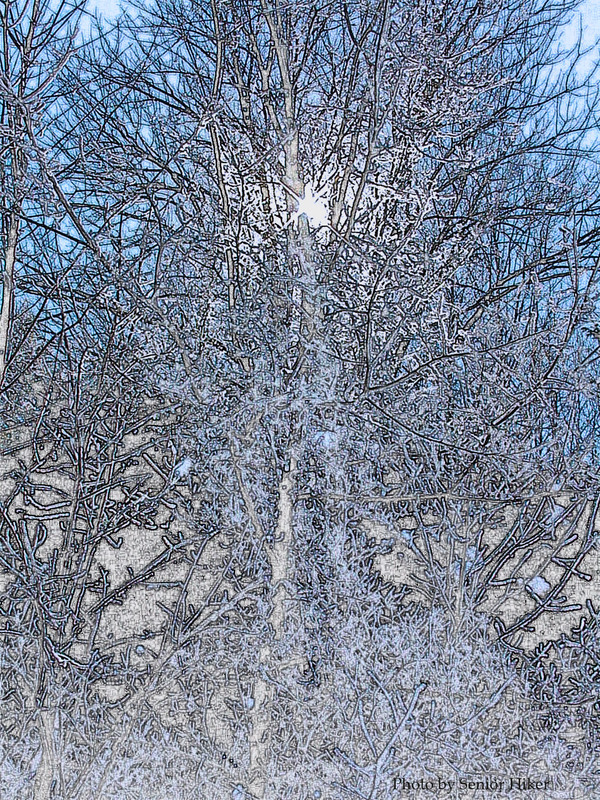 This drawing of the sun shining through icy tree branches is based on a photo taken in January, 2003. We were living in Hendersonville, Tennessee, at that time, and the photo was taken the day after a fairly big winter storm. I’ve been fortunate enough to work in China on four different occasions, and on each I was able to visit a section of the Great Wall. It is truly an amazing sight, but it is hard to capture that marvelous structure in a photograph. 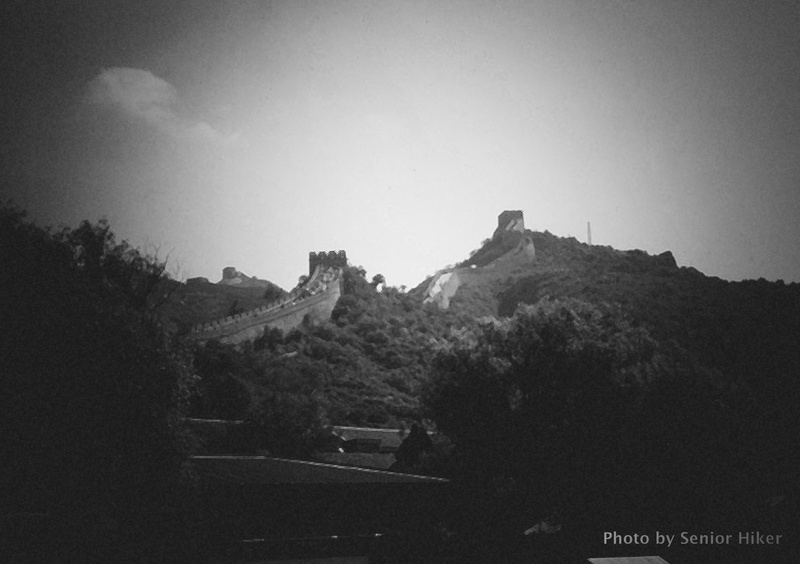 I think the image above does a pretty good job of conveying the age and mystery of the Great Wall. 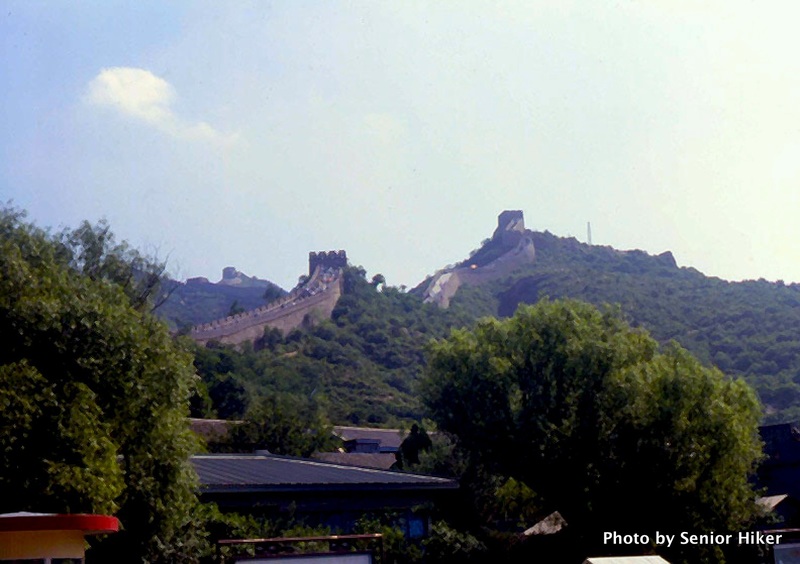 It is based on a photo I took at BaDaLing on my first visit to the wall in 1987. The picture on which this image was based was scanned from a slide and iis shown below. In early November Betsy and I made a visit to Linville Falls in North Carolina. 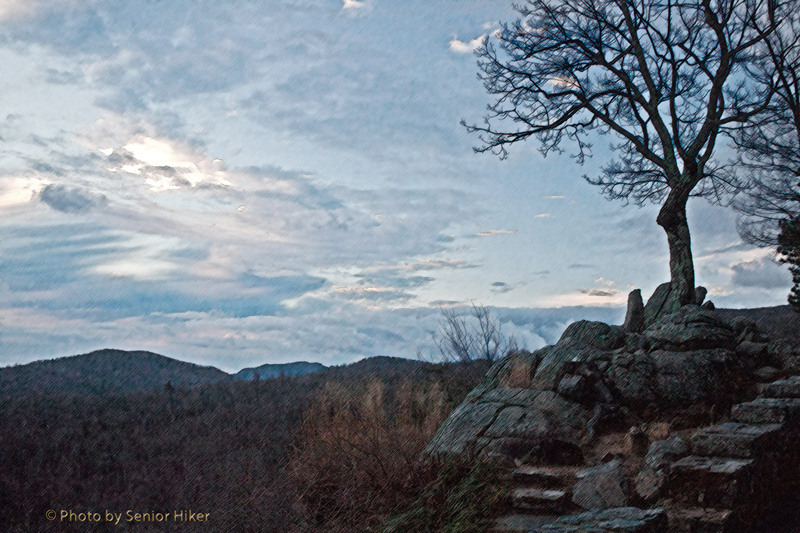 We got there in the afternoon and didn’t get to hike as much as we would like, but we did make a late afternoon hike to an overlook where we could get a distant view of Linville Falls. 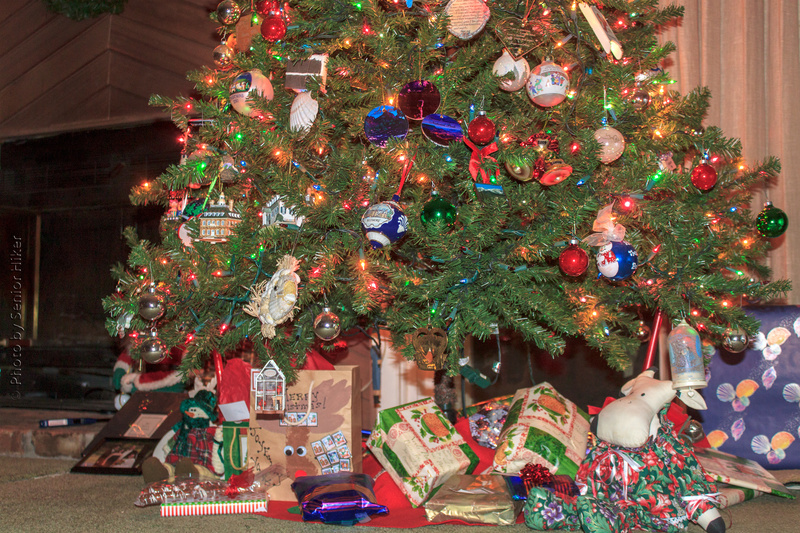 Santa must have thought we were both very good this year, judging by all the goodies found under our tree on Christmas morning. 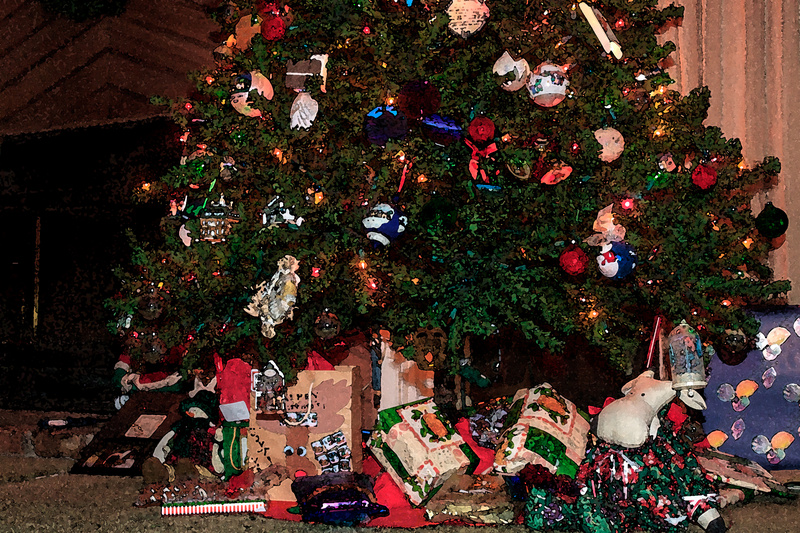 We had a wonderful Christmas and New Year, and we hope all of you did as well. The picture on which this water color was based is shown below.